Dr. Raúl Carrillo-Arciniega has been invited to participate in the 2nd annual “Encuentro Internacional de Poetas y el Arte”/”International Meeting of Poets and Art” in Puerto Vallarta, Mexico on May 2-5, 2012. The event is sponsored by the University of Guadalajara. Professor Benjamin Fraser edited a collection of essays entitled Capital Inscriptions: Essays on Hispanic Literature, Film and Urban Space in Honor of Malcolm Alan Compitello that has been published by Juan de la Cuesta Hispanic Monographs. Also, Dr. Fraser’s article “On Nocilla and the Urbanization of Consciousness: Multiplicity and Interdisciplinary in Agustín Fernández Mallo’s Fragmented Trilogy” has been published in the March 2012 issue of Hispania. Professors Félix Vásquez and Marianne Verlinden presented their paper “How to Teach Business Spanish through Newspapers, Business Magazines, and the Internet” at the CIBER Business Language Conference at the University of North Carolina-Chapel Hill, March 21-23, 2012. The College of Charleston’s and The Citadel’s Chapters of Sigma Delta Pi, the National Collegiate Hispanic Honor Society, are pleased to announce their 2012 South Carolina Spanish Teacher of the Year Program. Eligibility and the downloadable nomination form are found at www.scspanishteacheroftheyear.org. Nominations of our outstanding K-12 teachers of Spanish in the Palmetto State are strongly encouraged. Professor Lola Colomina-Garrigós’ article “En otro orden de cosas de Rodolfo Fogwill: resistencias discursivas a la mediatización cultural en la postdictadura argentina” has just been accepted for publication in Hispanófila. 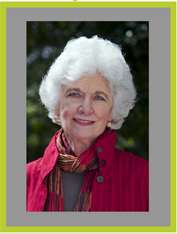 Dr. Shirley Brice Heath first introduced us to the Piedmont towns of Trackton and Roadville in Ways with Words, her classic study of children learning to use language at home and at school in two communities only a few miles apart in the southeastern United States. Heath raised fundamental questions about the nature of language development, the effects of literacy on oral language, and the sources of communication problems in schools and workplaces. What happened to those original 300 families? By following her subjects into adulthood, as well as including the next generation, Words at Work and Play not only picks up where their story left off (in the early 1980s), but also traces the radical changes working class families made in terms of their daily habits, life-choice values, and perceptions of identity; many of this same group would identify themselves as middle class by the start of the 21st century. Along the way, Heath also notes significant shifts in family and community life, including: the use of electronic media; the impact of community organizations and after-school programs (what Heath calls the “out-sourcing” of care); and the vital role of play. On Friday, March 16, Professor Sarah Owens presented her study “Sor Ana de Cristo: Travel and Writing from Spain to the Philippines” at the TePaske Seminar in Colonial Latin American History at Davidson College. Professor Carl Wise, Visiting Assistant Professor of Spanish, presented a lecture entitled “Off the Map: Florida and the Concept of America in the Spanish Empire” for the Winter Speaker Series of the Boca Grande Historical Society on March 7, 2012 in Boca Grande, Florida. Professor Emily Beck’s Article Published. Dr. Emily Beck’s article “Debating Arms and Letters: Curial e Güelfa and Noble Ambitions in the Fifteenth Century” was published in the fall 2011 issue of La corónica. Dr. Antonio Aiello, Adjunct Professor, presented a study entitled “Virgilio Piñera a la sombra de los clásicos: un precursor de la literatura postmoderna” at the conference “Theory and Practice of Cuban Theater. Celebrating Virgilio” at the University of Miami, January 12-15, 2012.